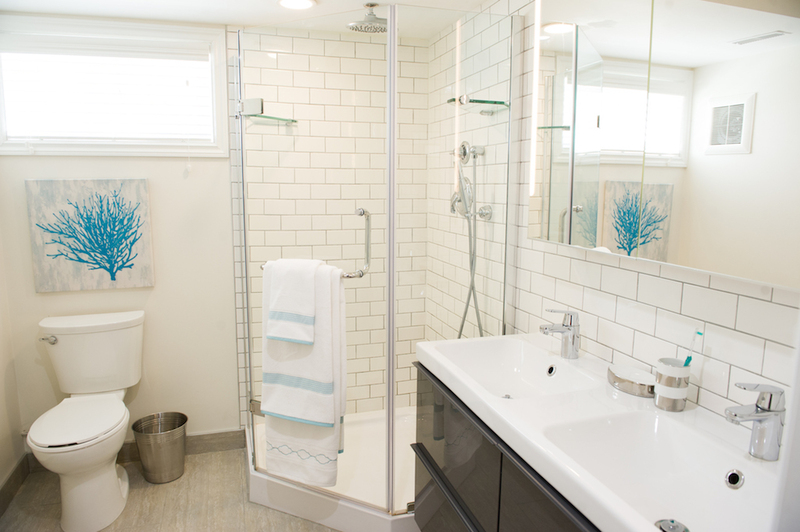 This basement bathroom renovation was a classic design with a modern twist! 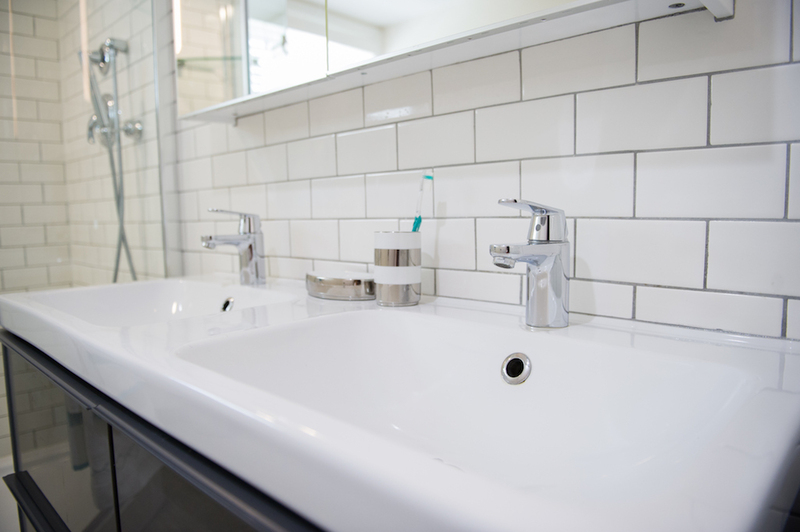 For the contemporary inner-city family behind this space, we paired traditional white subway tile with a contrasting grey grout for a fresh but timeless look. 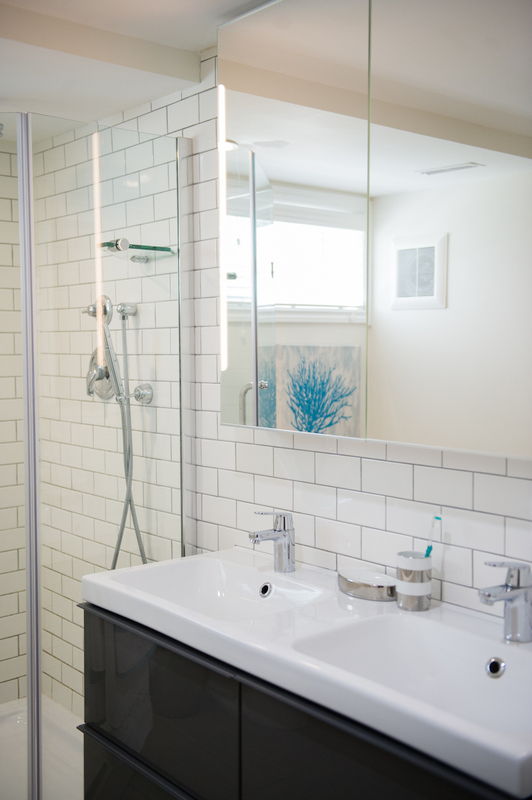 A cool ‘greige’ ceramic tile keep the room neutral but add a hint of texture. 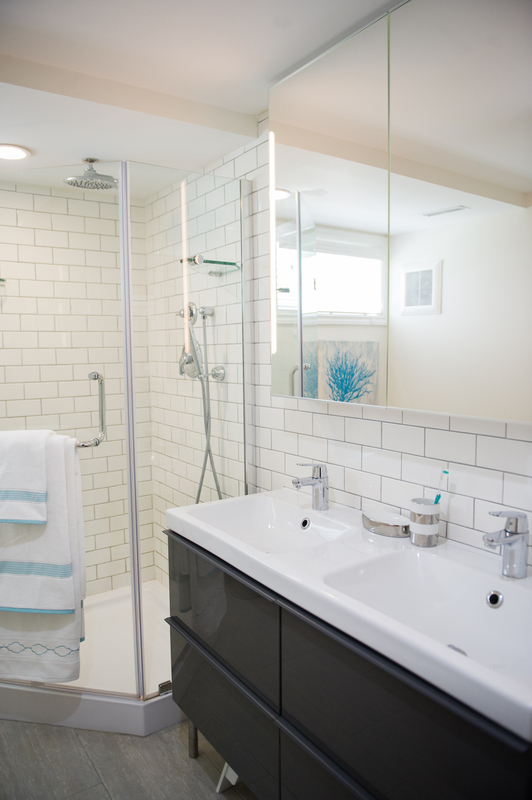 Keeping everything white and mid-tone grey helps maximize the light in what was once a dingy, poorly lit powder room. 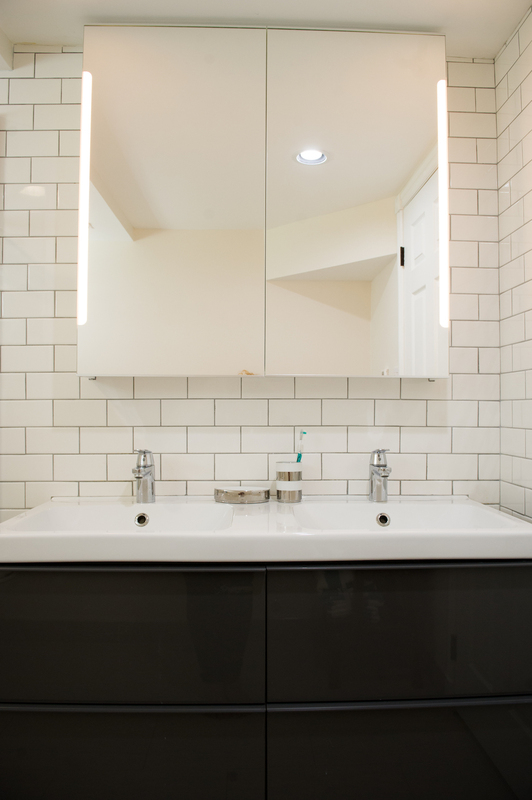 This bathroom was truly a lesson in high end/ low end pairings- a high-gloss Ikea vanity blends beautifully with luxury fixtures and finishings. 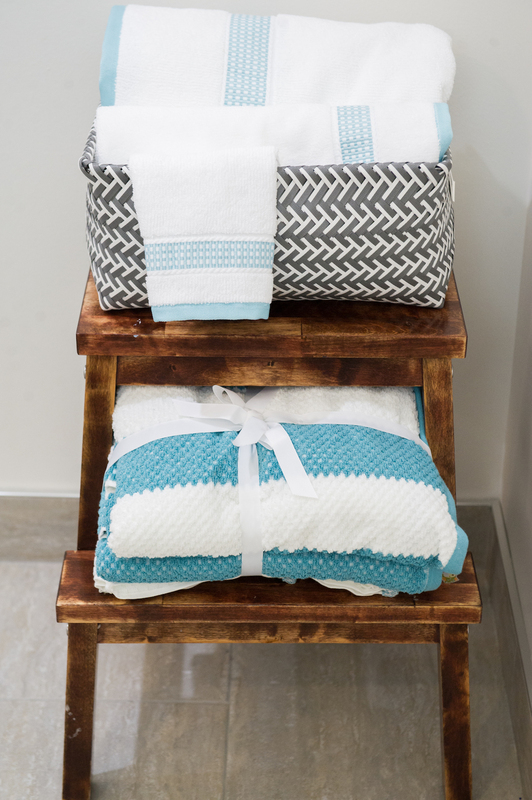 A vintage wooden stool serves as both a towel rack and a step stool for the little ones.